I was there to record these pictures which were taken during construction, when it arrived at March Hwyel Cilfrew mountain during the August of 2007 near to completion, there was a lot of controversy before and during the project. Pipes waiting to be laid. 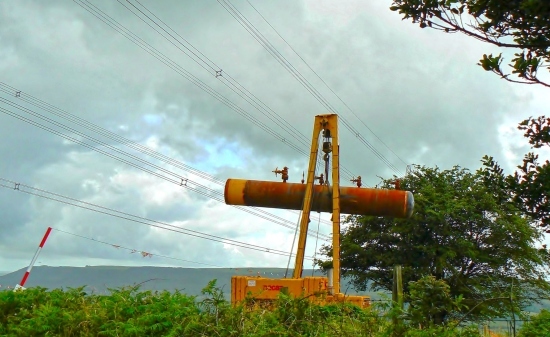 The large pipe negotiate overhead power lines. 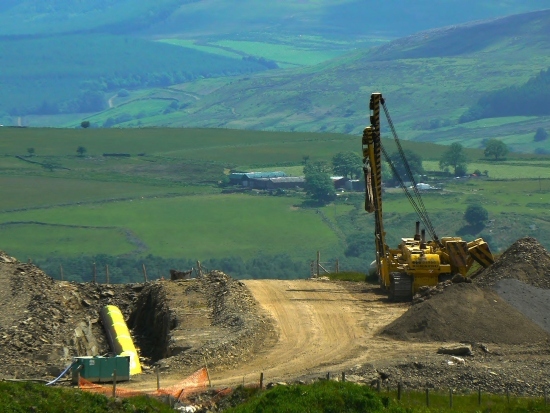 Villagers are fighting plans to build a gas station in the Neath valley as part of a pipeline crossing south Wales. People in Cilfrew claim it should be built in the open countryside away from residential homes. The station would be part of a network that will carry gas taken by boat to Pembrokeshire and would be capable of meeting 20% of the UK's gas needs. The National Grid said it appreciated the concerns and would keep villagers informed during the planning process. 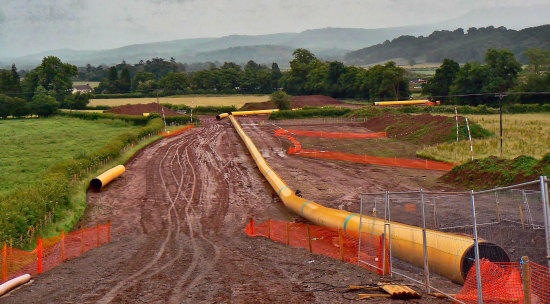 The pipeline will run from Milford Haven along a 115-mile (185 km) route to link up with the existing gas network. Liquefied natural gas (LNG) will be shipped into the port and converted back into its natural state at two terminals currently under construction. It will then be transported under high pressure in the pipeline. 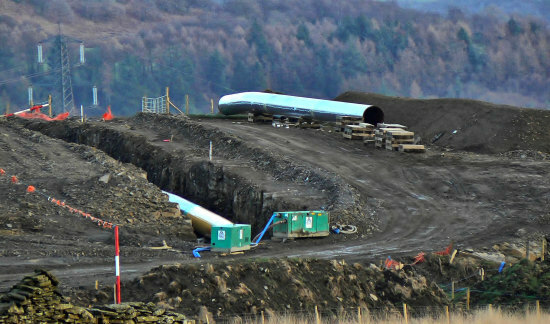 when finished the contractors landscaped the area and today peace and tranquillity has once again returned to our green and pleasant land, nature has waved its magic wand, and one would not know that this massive gas pipeline is there at all"